5 reasons to attend an experiential – nature based RJ Training! Gain understanding in the Living System that RJ is in a Living System Context. Experience expanding your mind, in an expansive natural environment. Find deeper levels of relaxation & mindfulness, next to 100 year old trees. Gaze at the stars, watch fireflies, “be” far from urban clutter. Experience Native Prairie & Grasslands, nothing more than grazing has ever happened to the Earth. Alongside sheep (with lambs), horses, a donkey and dogs, you will learn about Restorative Justice on a 960 acre ranch. You will stay in a retreat setting at a Hunting Lodge and have 3 full days of exploring and learning about Restorative Justice. The 3rd day of the training will be equine work, with guest trainer Janice Bad Moccasin. All inclusive: registration includes meals, lodging & training material. Please join us on June 3, 4 & 5 2019 in rural South Dakota for a unique and intensive training experience. Peacemaking Circle trainers and practitioners are invited to attend this in-depth exploration of the core values and key principles of Peacemaking Circles. Attendees will experience new and deeper levels of understanding as they work with nature, horses and sheep to discover how the dynamic and universal laws of nature influence Restorative Justice Circle process. Training will include indoor classroom and outdoor settings, including work in a round pen and pasture. The remote setting will give attendees the opportunity to reconnect with nature and engage in self-care. Training will be facilitated by Kris Miner Schweigert and Janice Bad Moccasin. Kris has an extensive history of work in RJ and Peacemaking Circles, from prisons to preschool she has conducted and taught Peacemaking Circles. She recently concluded work for Tribal Youth Programs, and OJJDP funded project providing training & technical assistance. She is an independent contractor and CEO of Miner Ranch LLC. Janice Bad Moccassin will be facilitating the equine-assisted teachings and infuse Dakota Cultural teachings. Janice is a member of the Crow Creek Sioux Tribe, and resides in Shakopee, MN and currently serves as a Dakota Culturally Restorative Facilitator for the Shakopee Mdewakanton Sioux Community. 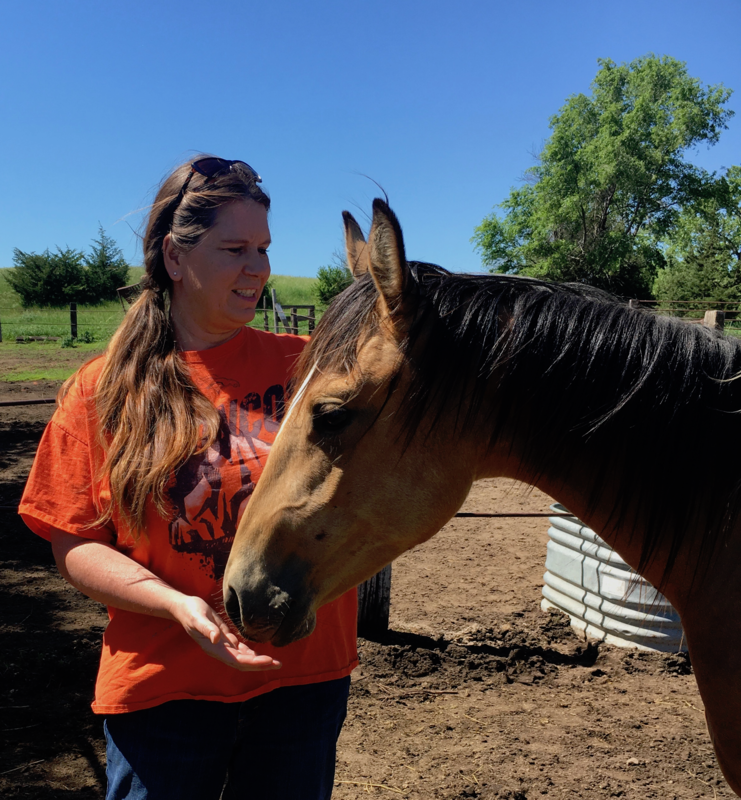 Janice is a passionate Cultural Transformational healer and Equine Specialist working with horse wisdom and medicine for healing intergenerational trauma. First class lodging will be provided at an area hunting lodge, Circle H Ranch. This lodge is located in beautiful rural Gregory, and not far from Miner Ranch, where the training will be held. Each participant will be provided a private room. Three meals will be provided daily and a welcome picnic on Sunday evening will be hosted at Miner Ranch. Participants will be offered optional and supplemental experiences in the evening, historical tour, Inipi (sweatlodge), Talking Circle and space and time for self-reflection, journaling and/or meditation. Circle H Ranch offers fishing, sauna and satellite tv. Travel by airline to Sioux Falls South Dakota and then a 3-hour drive to Gregory. Registration is $1,050.00 (This includes meals & lodging). The rate to attend without lodging is $500. Participation is limited to 18. For more information contact Kris Schweigert 605-831-0119 or circlespaceservices [at] gmail.com. ← 5 options to make Teen Court more restorative.